This month the Sunshine Coast Daily is hosting the Coffee + Connect! They are kindly shouting a coffee from the coffee van for everyone that attends the event - how awesome is that!! 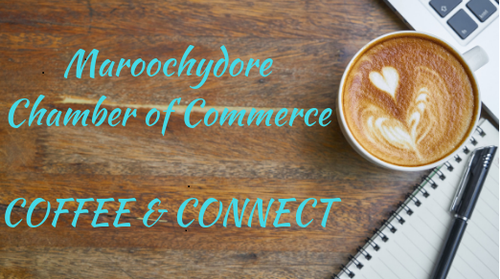 Join the Maroochydore Chamber of Commerce for a coffee and get together with local business people like yourself, promoting business opportunities through conversation in a relaxing environment to start your busy day. Bring along your business cards to place in the Business Card Draw.